Craig Harrison, Chief Executive Officer of Disability Employment Australia, has his eyes firmly fixed on his dream - that the employment of people with disability will be equal to that of all Australians. Harrison is this week’s Changemaker. Craig Harrison, Chief Executive Officer of Disability Employment Australia, has his eyes firmly fixed on his dream – that the employment of people with disability will be equal to that of all Australians. Harrison is this week’s Changemaker. Harrison’s career in the community sector stems back to the late ‘70s to early ‘90s when he worked as a Residential Care worker in the South Australian Juvenile Justice program and led to him to reviewing and implementing programs in support of at-risk youth. He then moved to Northern NSW where he began his career in the disability employment sector – first as a support work, then a service manager. Harrison made the move back to Adelaide to join Personnel Employment, where he stayed for 17 years as the Executive Manager. At Personnel Employment he established a Registered Training Organisation and developed the school to work transition program, which still operates. He has served on many disability employment sector boards, including five years as Executive member on the Australian Disability Training Advisory Council. 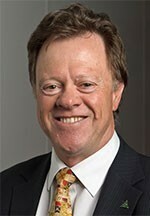 In 2010, he was was inducted into Disability Employment Australia’s Hall of Fame. Our team is engrossed in how the disability employment effort in Australia can and must be re-configured to better engage employers and people with disability, as well as ensure employment becomes a key part of the NDIS. The challenge is to build the enabling environment that provides pathways to regular jobs in the community. These pathways need to commence early in a child's primary schooling, continue through secondary school and establish a smooth transition into the adult world of employment and further education. By building connections between government, community and business, we can ensure that individuals with disability have pathways to participation. The expectation of parents and almost every child living with disability in Australia should be aspirational and presume a fully engaged life as an active citizen. I am working towards these goals every day. I began my career in the South Australian Government Department for Community Welfare as a 21-year-old, working in the Juvenile Justice Secure Care system as a residential care worker. My 10 years in that work showed me the real cost to young people of not being valued or having a personal sense of a good future. Of particular note was the high prevalence of young people with cognitive disability. It became very apparent to me that these young people were not really being well served by the school system. Not meeting the expectations of schools was a fast track to long-term disadvantage. Feelings of exclusion from the mainstream of society were often 'compensated' for by the apparent acceptance of the street and criminal offending communities. Detection by police often was a more common outcome for this group than those without disability. Having come from a relatively comfortable middle class background, it seemed to me that the opportunities I had been given by family and the school system were not fairly shared. I made a decision at this time to work in the community sector and apply myself to making things a little better for those who had not had the same advantage. In 1991 I worked as a job coordinator supporting people with intellectual disability to gain and maintain Award based regular employment in the community. This role provided me the opportunity to partner with a person with disability to identify what type of work would both interest and suit them. It also required engaging with employers to assist them to understand the benefits of employing a person with disability. Matching the person with disability to the right job and meeting the employer’s recruitment need was the key to sustainable employment and changing attitudes about the employment of people with disability. We have good staff working to support so many good services to build a more inclusive society and the opportunity to personally contribute to that goal. From over 20 years of managing Disability Employment Services (DES), I know the real changes that the DES providers make to the lives of people with disability and to the attitudes of families, employers and the wider community. To be able to represent and support the work of our members across Australia is a real opportunity and a privilege. My current role as CEO of Disability Employment Australia provides a platform from which to engage with Governments, the Public Service, disability representatives and employer organisations. This opportunity allows Disability Employment Australia to both inform and influence policy and programs to better meet the needs of people with disability and to build a more inclusive Australia. Being a key driver in building the South Australian Transition programs- State Disability Transition Program; Better Pathways; and the VET to Work Pilot (that informed the ‘Learning Support Services’ now embedded in the State VET program “Skills for All”). All of these programs have a critical linkage to the Disability Employment Services system to ensure regular employment is the focus. All have the aspirations of people with disability at the centre. All recognise the importance of gaining understanding of the labour market and developing the skills and attributes needed to be successful in employment and further education. I firmly believe that Education is the key to inclusion and opportunity. I also firmly believe that for many young people with disability, we have failed to adequately invest in their education. This is not to say that there are not many, many good teachers who absolutely strive to provide the best school experience that they can. However, it is very clear that a lack of resourcing and low expectations across the community compromise the potential of young people with disability to achieve their potential. Inclusive schooling and comprehensive curriculum offerings are the investments society must make to fully realise the contribution that can and should be made by people with disability. For every complex problem, there is a simple, straightforward and therefore most likely wrong answer. This is something that I keep in mind as I look at the solutions often put forward to significant social issues. I believe we must always think of the impacts upon those most disadvantaged when these solutions are developed. This equally applies to the way we design and implement a range of programs and services, including our Disability Employment Services program. A ' one size fits all' and centrally designed employment services program has not met the needs of many people with disability. While administratively 'tidy' from a contracting perspective, the complexity and rigidity of contracts and performance measurement has reduced collaboration, stifled innovation and compromised the inclusion of those with more significant barriers to employment. Employment participation of people with disability equal to that of all Australians across the broad labour market. This goal is underpinned by the knowledge that the vast majority of people with disability want to work and want to make a real contribution to their community. We should have the understanding that people with disability bring a diverse range of skills and attributes to the world of work and that, through their contribution, Australia will be a more productive, innovative and civil society. Privilege is not deserved but is a very powerful tool at the disposal of the privileged. None of us choose our parents, so the assumption that we somehow deserve our good fortune in being born in Australia and having the comforts of a first world country needs to be challenged. Position in society is much less important than performance. Human physical performance in all its forms – theatre, music, dance, sport, leadership. It is a joy to hear, see and experience excellence that has been crafted from talent coupled with long hours of effort, training and commitment.